We offer many different repairs to our customers, 25 years experience ensure that our work is of a very high standard, We offer all MOT failure repairs inc the MOT itself, all suspension work inc shock absorbers, tyres, exhausts, cambelts and clutches etc. We have extensive knowledge of vehicle electrics and electronics, therefore are able to work with engine management faults, anti-lock brake systems, air bag and all other auxiliary systems. air bag anti-lock brake systems. Air conditioning diagnostic and repair service. 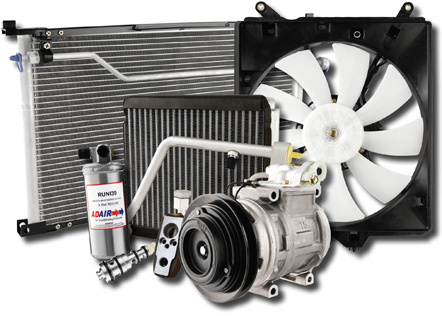 We offer a full diagnostic and repair service on all vehicles air conditioning systems. We have all the necessary tools and equipment to service and repair your car. We have received the IMIAL level 3 Award in Automotive Refrigerant handling which is the necessary qualification needed to operate the air conditioning equipment and work on vehicles with air conditioning systems.